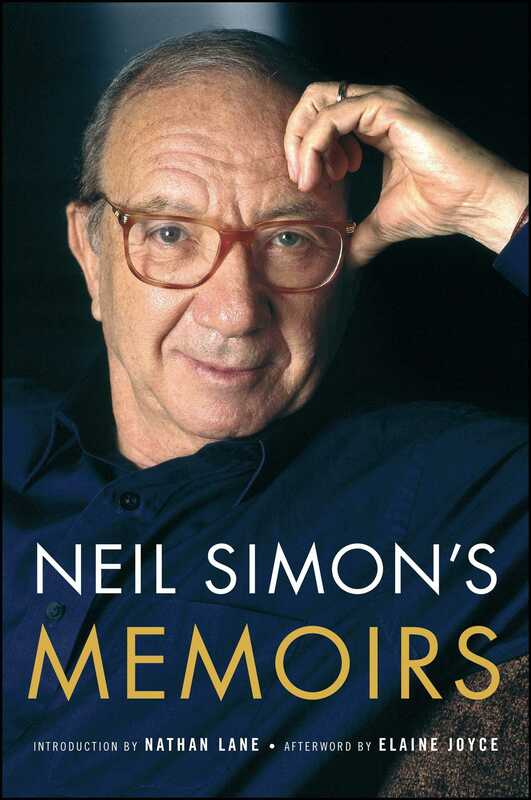 The complete memoirs of Neil Simon, the greatest—and most successful—American playwright of all time, the author of such iconic works as Lost in Yonkers, The Odd Couple, Biloxi Blues, and The Goodbye Girl, now with an insightful Introduction by Nathan Lane. This omnibus edition combines Neil Simon’s two memoirs, Rewrites and The Play Goes On, into one volume that spans his extraordinary five-decade career in theater, television, and film. Rewrites takes Simon through his first love, his first play, and his first brush with failure. There is the humor of growing up in Washington Heights (the inspiration for his play Brighton Beach Memoirs) where, despite his parents’ rocky marriage and many separations, he learned to see the funny side of family drama, as when his mother thought she saw a body on the floor in their apartment—and it turned out to be the clothes his father discarded in the hallway after a night of carousing. He describes his marriage to his beloved wife, Joan, and writes lucidly about the pain of losing her to cancer. The Play Goes On adds to his life’s story, as he wins the Pulitzer Prize and reflects with humor and insight on his tumultuous life and meteoric career. “Neil Simon’s terrific memoirs are worth revisiting” (New York Post). Now, with the whole story in one place, he traces the history of modern entertainment over the last fifty years as seen through the eyes of a man who started life the son of a garment salesman and became the greatest—and most successful—American playwright of all time. Neil Simon is the writer of more than forty Broadway plays, including Barefoot in the Park, The Odd Couple, The Out-of-Towners, and Lost in Yonkers, which won the Pulitzer Prize.